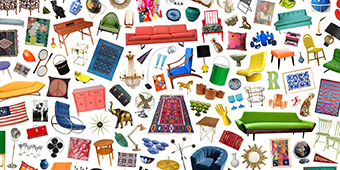 Say secretary today and our mind jumps to smooth-talking Siri, not antique office furniture. Yet when you consider how endlessly versatile the secretary desk is (being the result of a most soulful union between a cabinet and a desk), it seems high time this multitasking workstation got its due. 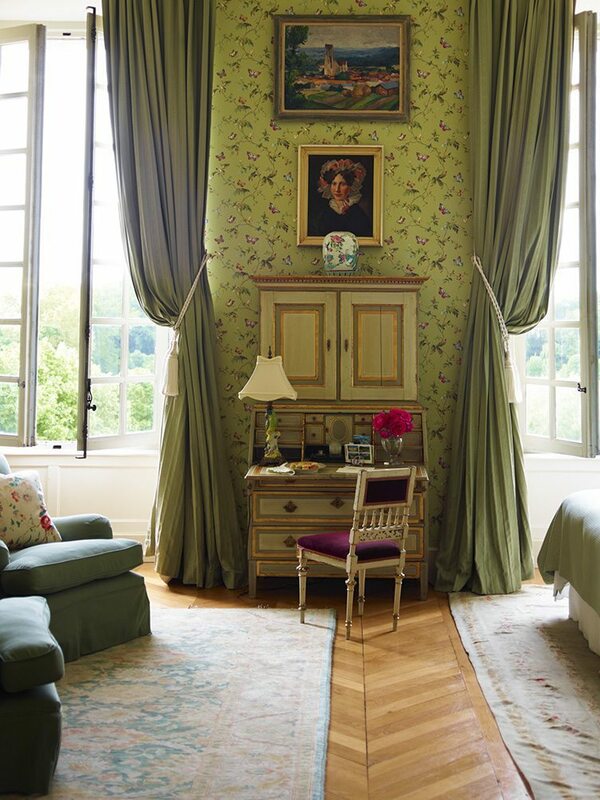 Discover how to style one in virtually every room in the house. Its stealthy design makes a secretary desk ideal for those looking to factor an undercover office space into the living room. 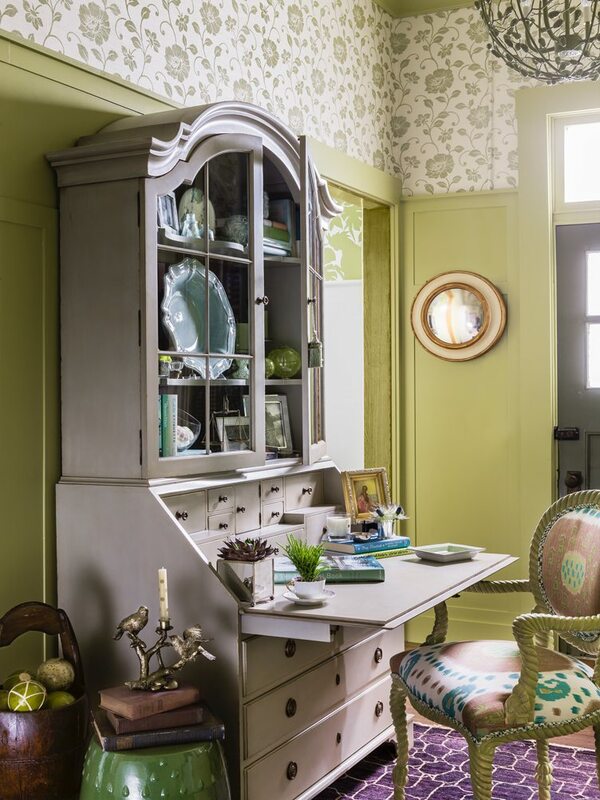 While there are some secretaries that nix the top cabinetry portion, we love a taller secretary with a hutch here, as it’ll provide tons of storage and read more like a bookcase than a dresser. To ensure your secretary feels like an organic addition to the room (rather than a nagging reminder to catch up on emails), try layering the shelves or top with decorative objects. 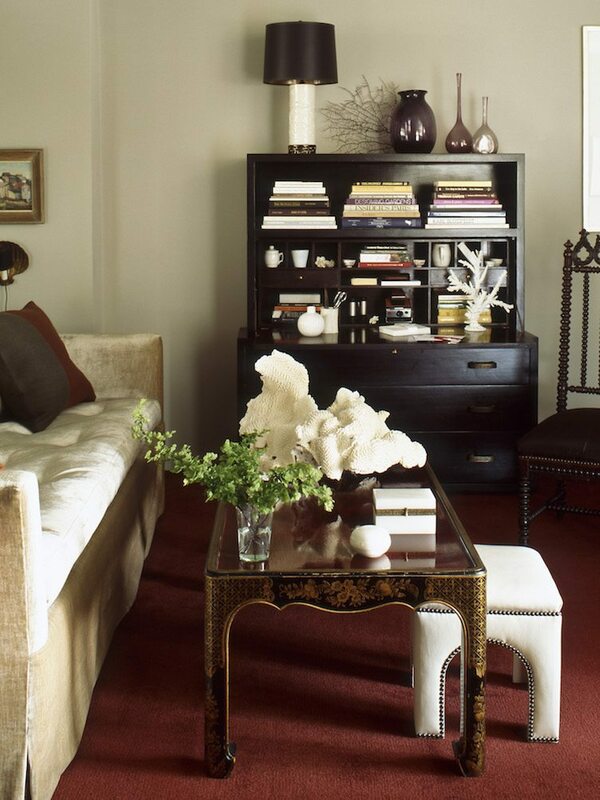 If your secretary has a flat top, punctuate it with small-scale sculptures, a bit of greenery, and maybe a few stacks of your favorite coffee table books. When it comes to the dining room, a secretary with a hutch that sports glass doors is perfect for displaying “the good stuff”—you know, that special occasion dinnerware that silently taunts you for not using it more. 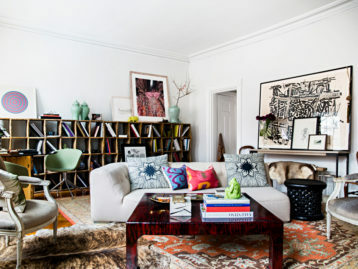 To up the ante, we love the idea of sprinkling in a few choice items like candlesticks for a hint of gravitas. 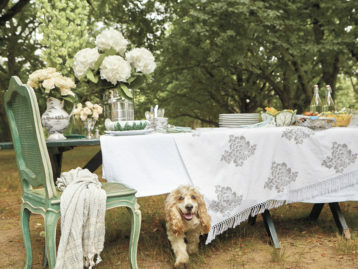 And as for the drop-leaf, feel free to leave it extended and style up a vignette with a few of your favorite tableware pieces, or utilize it as extra serving space during a dinner party. 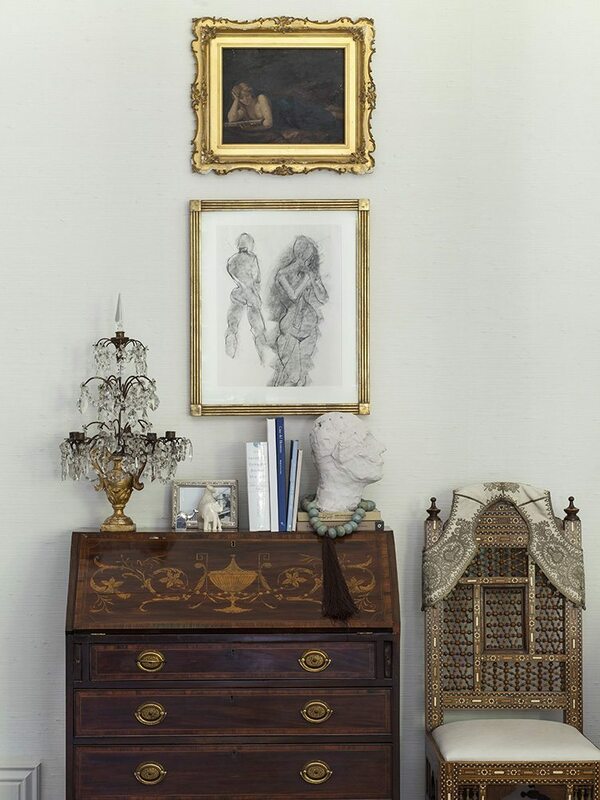 Secretaries are an undeniable workhorse when it comes to storage, so why not put those skills to use in the entryway, a space notorious for collecting clutter. To work one in, seek out a narrow secretary desk that leaves plenty of room for passing by, even with the leaf unfolded. The extended leaf will be perfect for holding keys and handbags, while the secretary’s small cubbies will suddenly seem custom-tailored for mail. 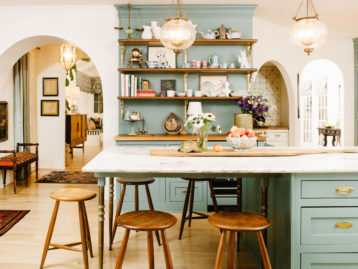 Since the entry is also your visitor’s first impression of your home, choose a secretary that captures your signature style—be it Mid-Century, farmhouse chic, or traditional with a twist —and consider using the shelving to showcase a favorite collection. The secretary desk is a great workstation and, lest we forget, a cabinet with tons of storage as well. Try popping a secretary desk into a bedroom to maximize a small footprint and create a truly multi-functional space. Put those bottom drawers to work by filling them with sweaters and tees, and utilize the top shelves by filling them with stylish baskets and bins, which can secretly hold socks, scarves, and other stray accessories. 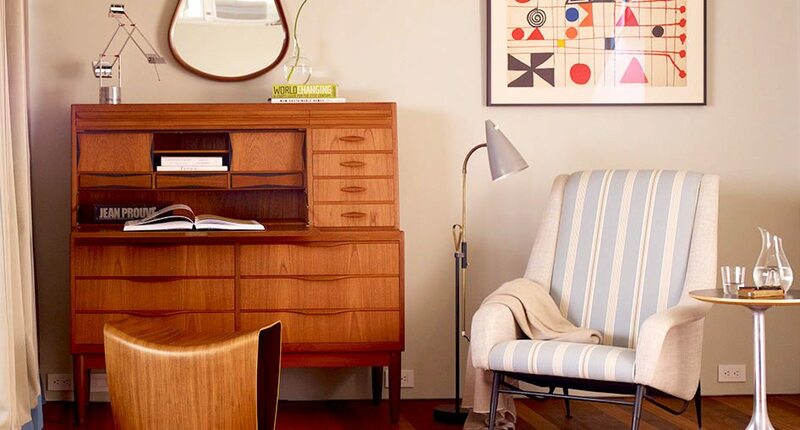 In terms of seating, nothing says “out of office” like a slipcovered or upholstered chair, which will ensure your bedroom maintains that oh-so important unplugged feel. The kitchen might not be the first spot you’d think to place a secretary desk, but where better to have a piece that can function as your home’s command center? Use the desk’s interior pigeonholes as mail slots or a way to organize bills, and the dropped desk portion as the permanent residence for a family calendar. The flat top or hutch shelves, depending on which style you prefer, can be filled with favorite cookbooks or some eye-catching kitchen essentials like mixing bowls or pitchers. A secretary desk gives the term “corner office” a whole new meaning, since it can literally transform any unused or awkward nook into a fully functioning workspace. Whether it’s the wall alongside a set of stairs, a double-wide hallway, or just a random bit of empty wall space, a computer secretary desk can be ready to server when you need it, and close up to save space when you don’t. There’s such a thing as a corner secretary desk, which really maximizes space, but you can also just tuck a standard secretary desk into an unloved corner at an angle. Baby on board? In a nursery, a secretary with a reinforced drop leaf can be cast in the role of an uber-chic changing table. Use a tall secretary with open shelving for displaying toys and books, and use the bottom drawers to store the essentials you’d rather not see. As a bonus, a secretary desk is one of those pieces that will grow with your kiddo, making it perfect for a nursery that intends to gracefully transition from baby space to big kid bedroom. Calling all glassware fiends! If you thrift vintage glassware like it’s your side hustle, consider displaying your loot in a vintage secretary fashioned as a bar in the living or dining room. While a tall secretary desk with a hutch is ideal for showcasing larger collections of decanters, glassware, or choice bottles of booze, a small secretary desk sans hutch can be the perfect thing for a well-edited bar collection. 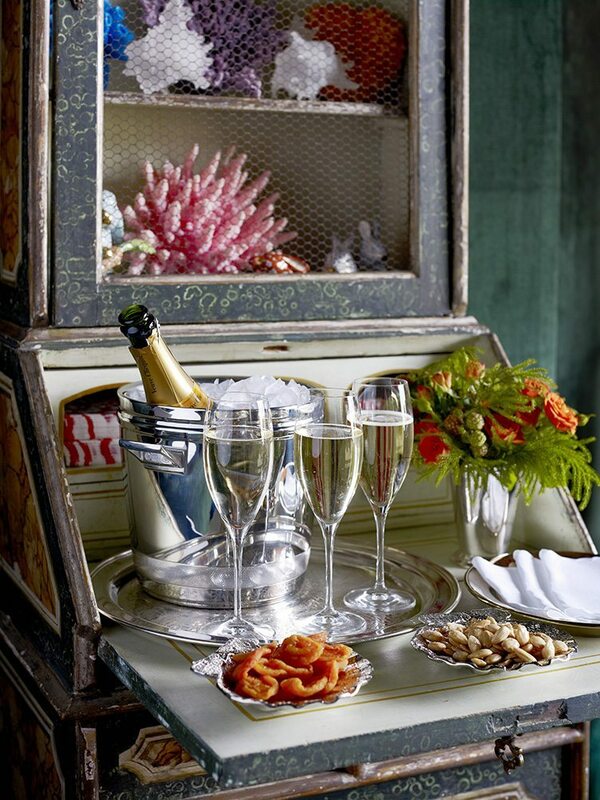 A tray with glasses, spirits, a bucket for ice, and a few key extras like citrus, bitters, and bar snacks, makes for an instant party setup that invites guests to help themselves. Despite the term secretary often being identified with females, it was actually male secretaries who first led to the term’s coining. In the 18th Century, men hired as secretaries to large estates would work directly out of their employer’s homes. A secretary desk situated in their boss’s living room or parlor would serve as their cubicle, and upon leaving, the men would close up the secretary, decisively returning their employer’s home to off-duty status.